What is the Fiit device and how does it work? The Fiit device is a motion analytics device that you wear around your chest, as close to your heart as possible, during Fiit classes. The Fiit device connects to the Fiit app on your iPhone/iPad via Bluetooth connection. The device tracks your heart rate, calories burned, Fiit points, reps and will display this information on your screen. 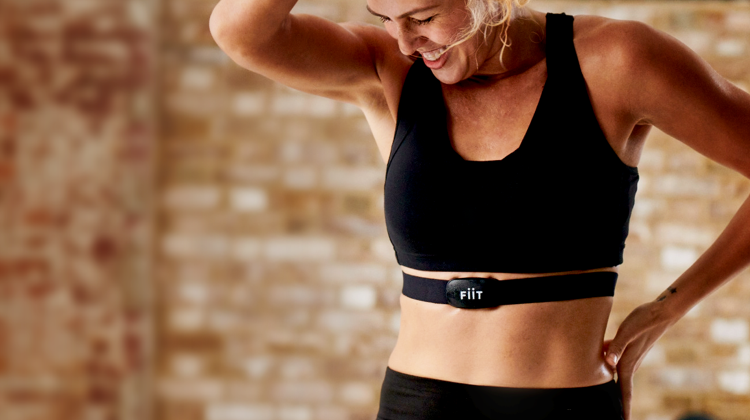 The Fiit device (worth £65) comes included with Fiit Premium membership. It is the best way to track your progress and challenge yourself.